Mostly artist of world change their birth name into a dazzling and striking name due to so many reasons. Likewise in Indian film industry many artists altered their names like Dalip Kumar, Raj Kumar, Raj Kapoor, Madhu Bala, Dev Anand etc so before 60s this tendency is clearly observed here in Pakistan when we see Santosh Kumar, Sudhir, Darpan, Nadeem, Akmal and so many changed their real names to film oriented names. During same era a star was born in a star family as Nazir Ali and once this star twinkled in the sky of celluloid it also attracted the attention and love of thousands film gores as Ratan Kumar. Syed Sultan Abbas Rizvi in cinematic world known as Abbas Ali Ajmeri was blessed with son on March 19, 1941 while his stay at Ajmer India. The child was named as Syed Nazir Ali who subsequently entered into filmdom as Ratan Kumar. Syed Sultan Abbas Rizvi was himself an actor who appeared with Dalip Kumar’s film Aan which was first colored film made under the banner of Mehboob Films. Abbas Ajmeri’s another son Wazir Ali who also became a renowned film director, producer and care taker of film production house named “Films Hayat” after migrating to Pakistan from India. 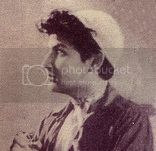 Syed Nazir Ali (Ratan Kumar) got his primary education from his hometown school, it is the same time when he was offered a child entry into the magical world cinema. .
so in the course of conversation Abbas Rizvi desired that young Ratan Kumar was absolutely fit for a role in said film which was accepted by Krishan Chandar. The film as well as its boy artiste made a favorable impression and Rattan Kumar’s next assignment came the following year in Mr. Wadia’s Balam. Then Rattan appeared many films as child star like Hamari Manzil, Romal, Sartaj, Sargam, Afsana, Banwra, Raj Rani Damayanti, Jai Mahalaxmi, Baghdad, Saudagar, Moti Mahal, Diwana, Raj Tilak, Dard-e- Dil, Angaray, Buzdil, Baiju Bawra, Radha Krishna, Boot Polish, Do Bigha Zamin, Bahut Din Hove, Nanhey Munney, Abhagiyawan and Jagriti. Ratan Kumar started his film career as a child star and factually the popularity he got as child star was much more adorable as compare to the period when he performed as lead / hero role in Pakistan. With acting career he also persui his studies as well, at the age of fourteen once his film Boot Polish hit the box office in 1955, he was studying in eighth grade at the Anjuman-e-Islam High School, Bombay. Once Ratan Kumar went to Madras where he worked in S. S. Vasan’s Bahut Din Huwe, during filming Mr. Vasan was impressed with acting skills of Ratan. During their stay Vasann not only taught him swimming, fencing and riding but also gave him a new car as a token of his appreciation. 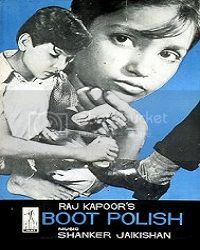 Boot Polish was a production of Raj Kapoor films in which Ratan Kumar appeared as Master Ratan with Baby Naz in lead character. Highlight of film, the famous song “Nanhe munhe bache teri muthi mein krya hai, muthi mein hai taqdeer hamari” was picturised on both child stars in very emotional sequence. Here it is worth mentioning that Boot Polish hit the box office and gave a firm platform to Ratan Kumar‘ s film career as child star. Boot Polish was also nominated for the Palme d’Or at the Cannes Film festival in 1955 and Raj Kapoor, Tara Dutt and David won awards for Best Film, Best Cinematographer, and Best Supporting Actor in 1955. It is interesting that Boot Polish wasn’t their first film. Both were “Old hands” at the game that goes on before the arc lights on studio floors. For them Boot Polish might have been just another assignment. But the film proved that they were not merely Veterans but accomplished ones at that. Ratan Kumar at fourteen years of age, he had performed in forty two films to his credit. As child he was very fond of sports, he used to plays table tennis, football and other games, but cricket was his first love. So Ratan played several filmland cricket matches in many parts of the country, like at Jaipur. On that occasion, he headed his own team and the rival team was Baby Naaz’s Eleven. At the time of partition family of Ratan Kumar had some standing in Indian film industry so they did not migrate to Pakistan. But in 1965 he migrated to Pakistan with his family, his father Abbas Ajmeri established a film production house named “Films Hayat” and Be-dari was the first film which was released under this banner. The story of Be-dari was inspired from Indian film Jagarti and Abbas Ajmeri produced it with Shiekh Latif under the direction of Rafiq Rizvi (a.k.a Bapu) but it was presented with a much more treatment of emotional touch as compare to above mentioned Indian films. Ratan Kumar played the same role that he had performed in Jagarti and this time he played it excellently. With the outstanding acting performance of Santosh Kumar, Anoradha, Ragni and melodious and emotional songs of Fayaz Hashmi under the music composition of Fateh Ali Khan, all made this film a super hit film of that time. Here it is worth mentioning that Prince Gulu who played another child star with Ratan Kumar in Be-dari also performed very well but we think this was his first and last film as he was never seen in any other films afterward. After Be-dari, Ratan Kumar appeared in Masoom and played the role of brother of the lead heroine (Yasmin), Habib was the hero of the film in which once again Ratan Kumar impressed with his resilient acting performance. In his next film Wah Re Zamanay which was also made under the banner of Films Hayat with the cast of Ejaz and Shamim Ara who acted under the direction of Rafiq Rizvi. 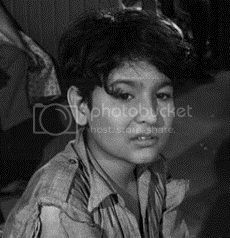 Ratan Kumar played almost the same role of his film Masoom and finally this film proved to be his last film as child star. If some of the viewer have any news about it you may apprise mpaop…. So in his next film “Nagin” he appeared in lead role of a romantic hero with Neelo. 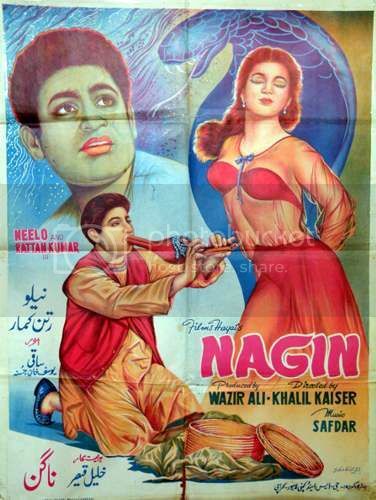 Nagin was again a production of Films Hayat under the direction of Khalil Qaiser, Ratan Kumar played a double role (two characters one of Prince and another of snake (Sheesh Naag) who was converted into a human and entered into royal palace as fake prince). Neelo also appeared in Nagin in a lead role for the first time, whereas Saqi played an affective role of sapera, Yousaf Khan, Husna, Rekha, Begum Parveen, Nazar and Abbas Ajmeri (Ratan’s father) were in cast of Nagin. On the other hand both the characters played by the Ratan Kumar were superb and played a vital role in the success of his film career and making this picture an all-time memorable film. 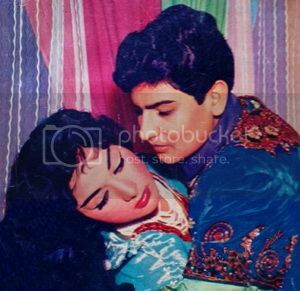 The performance of Ratan Kumar and Neelo in Nagin made them a striking pair of that point of time so subsequently both of them appeared in many films like Alladin Ka Beta, Neelofar, Husn-o-Ishq and Barat which was his own production as well. In his other films Taj Aur Talwar, Sher -e- Islam (Laila as heroine), Ghazi Bin Abbas (Husna), Chhoti Ammi (Rani performed as heroine and Wazir Ali directed this film under Films Hayat banner), Sumaira (with Zeba and it was directed by M. S. Dar the father of former film director Aslam Dar), Clerk (directed by Khalil Qaiser), Do Ustad (Rafiq Rizvi Bapu) and Raza Mir’s Aasra was his last film which was released in February 27th 1969 and Shabnum, Muhammad Ali, Rozina, Ratan Kumar, Nabila, Saqi, Rangeela, Sultan Rahi, Chham Chham and Mustafa Qureshi. Other than the acting performance Ratan Kumar also directed a film named Dastaan which was produced by his brother Wazir Ali. 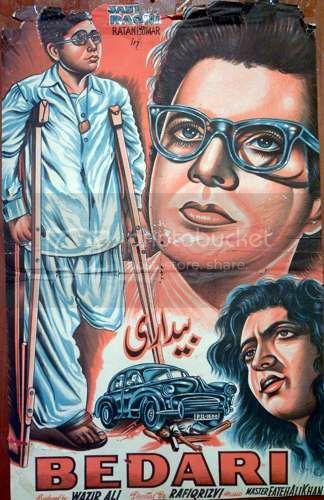 Ratam Kumar played the lead role with Ghazala and it was released on June 6th 1969. After these films probably he stopped appearing in films and subsequently migrated to United States of America. Film production office Films Hayat which was established and owned by Ratan Kumar but it was opened on his brother Wazir Ali’s name due to certain citizenship issues. With the passage of time Wazir Ali got more and more involved in the affairs of Films Hayat especially after the death of father of Ratan Kumar. Moreover, in 1979, Rahat Rizvi elder daughter of Ratan Kumar met a road accident which resulted in her sad demise. This incident brought a very grave influence on personality of Ratan Kumar. So thwarted Ratan Kumar left the country and got settled in USA while leaving studios affairs upon the shoulders of his brother Wazir Ali and then never return back to the country. Although there were few rumors about his marriage with leading actress of that era but he pushed back all such news and got involved in arranged marriage. He was blessed with four children i.e. Rahat Rizvi (female) who died in auto accident, Farhat Rizvi (female), Imran Rizvi (male) and Ali Kamran Rizvi. None of his children followed their father’s foot steps by joining showbiz. Ratan Kumar died on December 11, 2016. One day prior to his death, news of critical ailment of Ratan Kumar was received so Curator mpaop contacted his son later on who confirmed the sad news of the demise of Nazir Ali (Ratan Kamar) as “Unfortunately what you heard was true and it is with great sadness that I inform you that my father passed away yesterday December the 11th 2016. 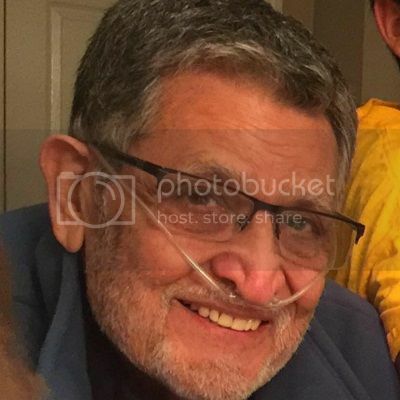 He was surrounded by all of his family, Spouse, children and grand children.” His son Mr. Ali Rizvi also shared the latest picture of Ratan Kumar sb which is placed opposite. Ratan Kumar was buried at Oak Hill Memorial in San Jose California, USA.